With the growing season approaching, Sporometrics is once again partnering with Eugenia Banks – with support of the Ontario Potato Board, as well as two other groups of Ontario-based agricultural researchers, to tackle the dreaded potato late blight disease in fields across Ontario. After the resounding success and feedback from use of the Spornado over the past three seasons, the use of these spore traps combined with PCR analysis technology has proven to become an invaluable tool as early predictors of blight disease for growers. 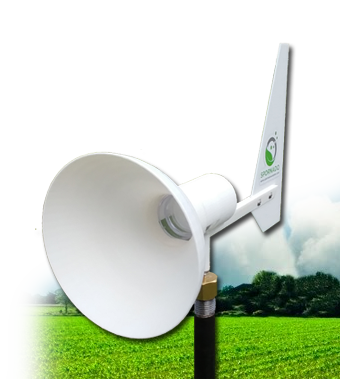 This year, for the first time the Spornado is being used to monitor tomato crops and in blueberries; we look forward to seeing the results.